There is a kind of look in his eye that says he has seen too much – To much killing for sure. The Civil War was a horrific event – So much killing, so much carnage. A lot of fought here and there, but Peter Fletcher Howell was part of the 61st Infantry Regiment Virginia that saw action throughout the war. Fredericksburg, Chancellorsville, Gettysburg, Spotsylvania, Cold Harbor, Petersburg, Savannah were all major battles. In my research, I found that one of the more horrific family stories was most likely true. Peter was there; and sadly to say, yes, his regiment did what the family stories told. Peter Fletcher Howell was born 2 June 1942, the fourth child of Peter M and Caroline M. A. Pankey Howell in Buckingham County, Virginia. 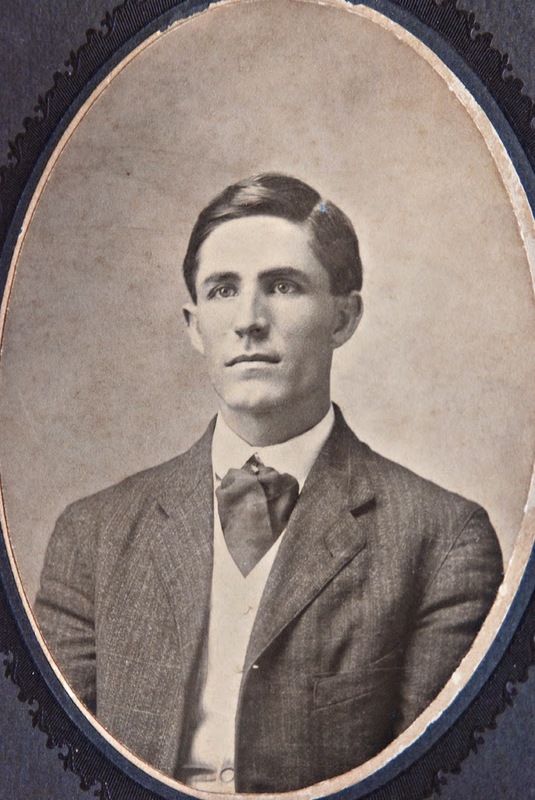 When he was young, five or six, his family moved from Virginia to North Carolina, first to Murfreesboro, then Raleigh, Kitty Hawk, Wilmington, New Burn, then finally to Halifax County. His father, Peter M, was a preacher, a fire and brimstone Baptist preacher that preached wherever he could. When Peter M found a congregation, to they moved which is why they moved so much in the early years. Finally, when Peter F. was about eight his father found a steady congregation and appears to have stayed in Halifax County throughout most of Peter F.’s youth. 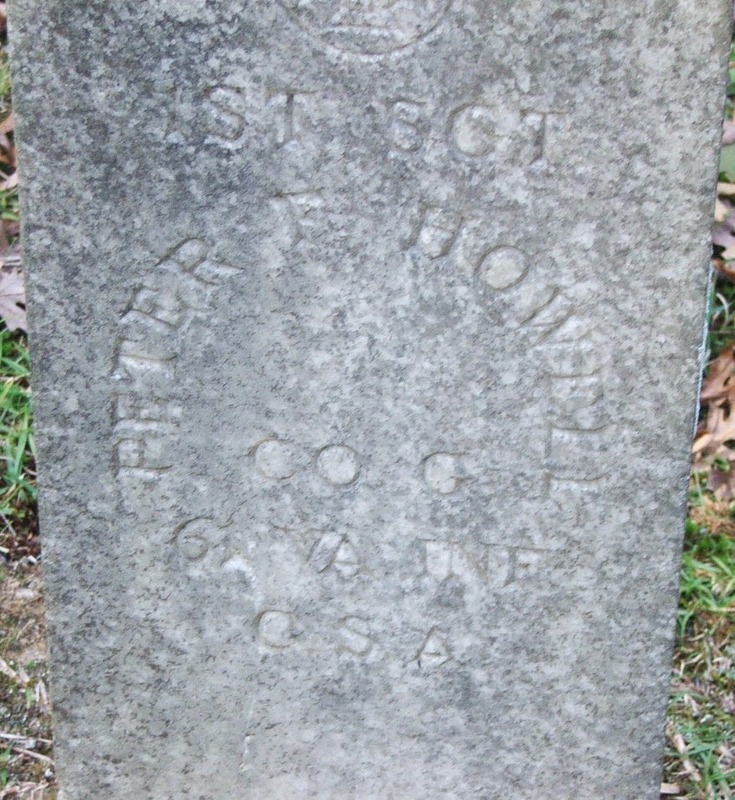 In 1860, Peter F was living with his parents and an older brother, Phillip C Howell. Peter was working as a farm laborer. [i] With war breaking out, it appears that Peter didn’t want to wait to join up with the slowly forming regiments in North Carolina. Peter went the sixty miles north to Sussex County Virginia and enlisted on 23 Oct 1861. Peter must have been a great soldier because he was promoted to fourth Sergeant on 22 May 1862. He then transferred to Company G, Virginia 61st Infantry Regiment on 8 Aug 1862. Family legend told the story that Peter was part of a group that was on the edge of a pit (crater) firing down on the Union soldiers below in a “turkey shoot.” He was also told to bayonet the Black soldiers if he wanted to get a furlough to go home for a couple days. It was a horrific day; one of the many that Peter Fletcher Howell saw. Peter was promoted to Full first Sergeant on 15 Feb 1865 and mustered out on 9 April 1865 at Appomattox, VA. There is some oral tradition that indicated that Peter was the only one of six boys who lived through the Civil War in that family. I know of his brother Philip C and his brother Lorenzo but I have no knowledge of their lives after 1860. There is also a six year gap between Peter and his sister Elizabeth suggesting there might be another child or two that I don’t know about. After the war, Peter married Susan R. Vincent (sometime Vinson) on 10 December 1866. Wasting no time, their first child, Anna Lee Howell was born 10 month later. He continued living in Weldon until his death on 27 October 1924. He is buried in Cedarwood Cemetery in Weldon. Continue research into Peter F. Howell’s military (CSA) service. Research Peter Howell’s siblings and their lives. Research for other potential children of Peter F. Howell. [i] 1860; Census Place: Western District, Halifax, North Carolina; Roll: M653_899; Page: 471; Image: 323; Family History Library Film: 803899. http://search.ancestry.com/cgi-bin/sse.dll?db=1860usfedcenancestry&h=41288528&indiv=try. [iii] Tuff University, Perseus Hopper, Richmond Daily Dispatch: August 3, 1864. http://www.perseus.tufts.edu/hopper/text?doc=Perseus%3Atext%3A2006.05.1135%3Aarticle%3D3. Sometimes uncovering the life of an individual is a grind. Just keep searching and you will find more and more about an ancestor’s life. James Dallas Howell is such an individual. He was a minister in rural North Carolina and changed churches frequently. Consequently, there are church records and newspaper articles that mention him. Finding those records and deterring the movements in his life is a daunting task. I wish I could find a book or other documents in which all the Baptist ministers are listed and which church they are ministering to. There probably is such a book or set of documents, but I just haven’t found it yet. James Dallas Howell was born on 2 September 1879, the fifth of seven children Peter F. (and Susan R Vincent) Howell. He was probably born in Faucett Township in Halifax County, North Carolina. We find James in the 1880 Census as a one year old, although he should have been only 8 months old during that census. This is consistent with the 1900 Census where he is reported to be 21 years old with a birthdate of September 1979. Considering an enumeration date of 12 June 1900, he should have only been 20 at this previous birthday. We don’t know anything of James’ childhood. The 1880 Census indicates he has four older siblings, Anna Lee, John D., Augusta E., and Martha F. Howell. The 1900 Census also indicates he has two younger brothers, D. B. Howell and G. C. Howell. The family is well enough off, in 1900, to have a black servant and a black laborer living with them. 1910 was a really busy time for James. In March his mother died; also, in March, he became the pastor at the Roanoke Island Baptist Church in Nags Head, NC. When the 1910 Census was taken on 20 April, he was a boarder, living at the widow Forbes’ [Forles] home with her son, & her daughter. This must have been a short-lived arrangement because he married Mary Lillian Hobbs on 27 April. · 1911, July – Rev. J. D. Howell let a workshop at the Camden & Currituck union with the church in Manteo. 1915-1917 – He was pastor at Clarkton (NC) Baptist Church. · 1917, March – He was pastor at church in Warsaw, NC. · 1918 – Minister at Sharon Baptist Church, Beaulaville, NC. 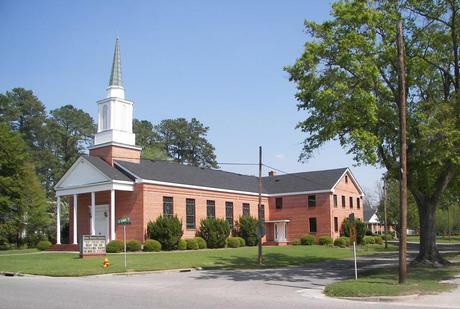 · 1920 – Minister in Plymouth, NC. 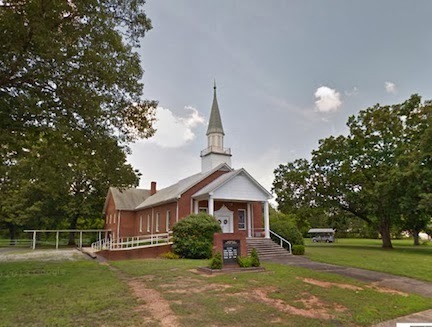 · 1928-1931 – Pastor at Ansonville (NC) Baptist Church. · 1932-1933 – Pastor at Gethsemane Baptist Church, Whitakers, NC. A respectable 20 months after James and Mary were married their first son, James Dallas Howell, Jr. was born. Two years later by another son Ashley was born and three years after that a third son, Frank was born. In 1918, a fourth son, Clarence was born. Finally, in 1925, a daughter, Mary Elizabeth was born. The family moved often as James Dallas Howell, Sr., followed his ministry as pastor and minister at Baptist churches throughout eastern North Carolina. In his latter years, he and his wife Mary moved north and lived with their son Ashley and his family in the Washington, D.C. area. Mary died sometime between March and December of 1964. James Dallas Howell died on 18 Dec 1964 at the Kensington Gardens Sanatorium, Kensington, MD, of Bronchio-pneumonia due to cerebral encephalopathy, due to senility and acteriosclorsis. He is buried at Cedar Hill Cemetery, Suitland, Maryland. · Get a photo of his marker. 1880 Census, Ancestry.com, http://www.Ancestry.com, 1880; Census Place: Faucetts, Halifax, North Carolina; Roll: 966; Family History Film: 1254966; Page: 627C; Enumeration District: 137; Image: 0720. http://search.ancestry.com/cgi-bin/sse.dll?db=1880usfedcen&indiv=try&h=19555434. 1900 United States Federal Census, Ancestry.com, http://www.Ancestry.com, 1900; Census Place: Conocondy, Halifax, North Carolina; Roll: 1199; Page: 2B; Enumeration District: 0027; FHL microfilm: 1241199. http://search.ancestry.com/cgi-bin/sse.dll?db=1900usfedcen&indiv=try&h=57153615. Web Sites (Various), First Baptist Church of Davis – Pastors. Rev. J. D. Howell – 1909. http://davisfirstbaptist.com/sitebuildercontent/sitebuilderfiles/pastors.doc. North Carolina, Marriages, 1759-1979, Family Search, J. D. Howell & Mary Lillian Hobbs – Accessed 2013-12-07. https://familysearch.org/pal:/mm9.1.1/f847-tqy. Maryland, Dept. of Health, Death Certificate, James Dallas Howell – Died 18 Dec 1964. Place: Kensington Gardens Sanatorium, Kensington, Montgomery County, Maryland. There are occasions when you find something totally awesome regarding an ancestor. Sadly, his “life and travels” never mentions his parent’s names. It does mention a sister, but never her name either. The book did give new information about exactly where he lived and when, as well as new information about his children, one of whom we had never heard of before. Sometimes a simple search on the right website can yield the most amazing finds. Archive.Org is one of those must search sites that you should include if you don’t already do so. Peter was born 15 Jul 1805 in Charlotte County, Virginia. In 1807, his family moved to Buckingham County, Virginia. When he was only 12 years old, his father died. His mother remarried sometime between 1819 and 1820. Also about 1819, his half sister (name unknown) married a man named Holman. About 1821, Peter apprenticed himself to Mr. Holman to learn carpentry. Which he did for about 3-1/2 years. He relocated with Mr. Holman and his half-sister to Alabama, “not far from the Tennessee River.” By 1827, Peter returned to Buckingham County and was living with his mother and her new husband near Farmville (Prince Edward County). On June 11th, 1829 Peter married Caroline M. A Pankey in Cumberland County. The 1840’s census finds the family in the Northern District of Buckingham County, Virginia. 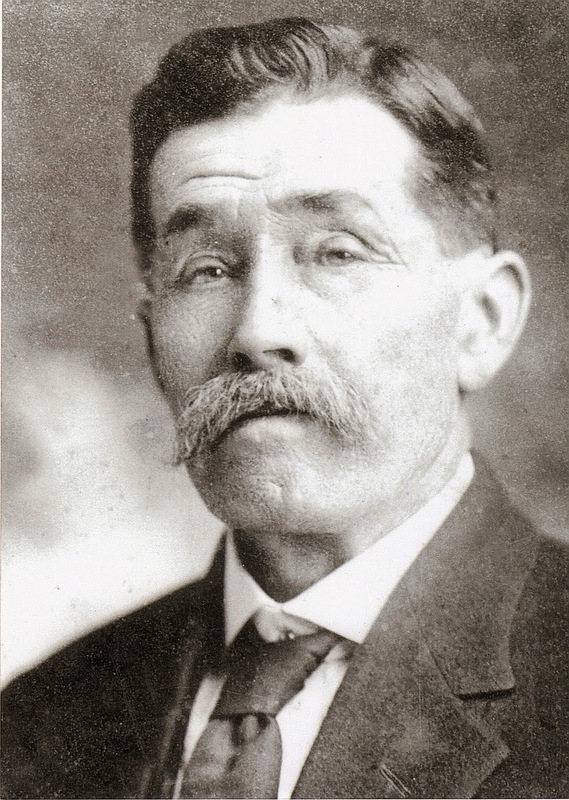 In 1842 another son, (great-grandfather) Peter Fletcher Howell was born. We know that Peter had business at the Buckingham County courthouse several times in the 1840s. In 1845 another son, Lorenzo Dibrell Howell was born. During the 1840s, Peter started preaching regularly, walking everywhere in the area. He preached in long circuits going from town to town and ranging far and wide. That period of his life is the subject of his book. In January of 1846, he relocated his family to Murfreesboro, North Carolina about a mile from Parker’s Meeting House. In 1848, Peter moved to Halifax, North Carolina. In the ensuing years, he became the minister of a church there. Peter is in the 1860 census but not in the 1870 census, so I believe he died sometime in that decade. I have been unable to located death or burial information regarding Peter. Investigate all Howells in Charlotte County in 1800 looking for Peter’s father. Investigate all Howells in Buckingham County in 1810 looking for Peter’s father. Determine church Peter became minister of in Halifax. Rev. J. D. Howell was voted to be pastor of Ansonville Baptist Church on March 25, 1928 at a regular conference the church. They voted to pay him on a monthly basis. Apparently, the church was unable to live up to its agreement because, sometime later, Mr. Kimbrough talked and asked for voluntary contributions. $54 was raised to be used for past due pastors’ salary. During a called conference, there were 4 churches participating in their “field.” On October 21, 1928, J.T. Curlee wrote in the minutes, “The matter of calling a pastor for another year having been discussed by the deacons of all 4 of our churches on the field; we deacons decided to have a called conference to vote whether we wanted to call Bro. Howell for another year.” The church voted by ballot. There were 49 votes for Rev. J.D. Howell and 5 votes against him. They then voted to make the affirmative vote unanimous. From the Associational minutes comes the following information: Ordained ministers holding membership in Ansonville: J.A. Summey, member; J.D. Howell, pastor. During Rev. 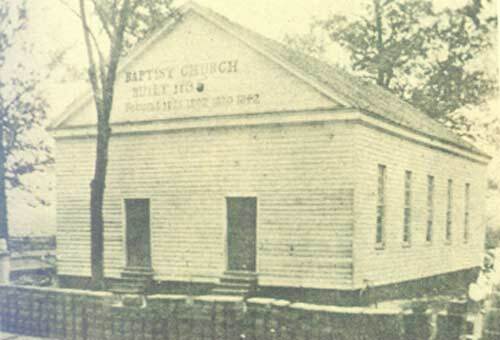 Howell’s time at Ansonville, the church grew slowly in terms of members, Sunday School, the Baptist Young Peoples Union (BYPU), and the Women’s Missionary Union (WMU) went up each year. Rev. Howell left Ansonville Baptist on June 7, 1931. Tip/ReminderDo not be afraid to contact key individuals or organizations from your ancestor’s life. Thanks to the generous response of the current pastor of Ansonville Baptist Church, I was able to add new information and add texture to the life of James Dallas Howell. This week I began research on the Howell Family Tree (my wife’s). I had very little on her grandfather, a bit more on his father (who was in the Civil War) and very little about his father Peter Howell. Unfortunately, or fortunately as it turned out, her grandfather, went by his initials most of the time. I knew he was a Baptist preacher in North Carolina. So I started searching Baptist records in North Carolina just searching for “Howell” and not his first name, nor his initials, just “Howell.” Suddenly a WOW! 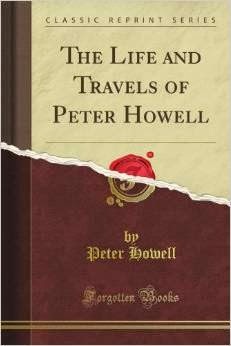 Up popped a book, “The Life and Travels of Peter Howell”. My wife’s great and her 2nd great grandfathers were both named Peter Howell. Could this be the same Peter Howell. Found the book was at a library in Raleigh reference section. I then searched around for the title elsewhere and found it at archive.org, which is a must site for your searches. I downloaded the files and began to read. It was the right one, born 1805, married to Caroline Pankey, lived in Virginia…. it was the right Peter Howell. The first page was a bit of a disappointment, he mentions his birthdate (which we didn’t have before) but not his parent’s names. He spent his adult life as an itinerant preacher. He traveled from town to town preaching in people’s homes, at court houses, at Methodist and Baptist churches, even on occasion at quaker meeting halls, masonic temples and a Catholic Church. He walked almost everywhere putting on over two thousand miles walking in one year preaching at hundreds of places. He describes town, buildings, such as the Virginia and North Carolina State Houses, as well as places like Kitty Hawk and Kill Devil Hills. He mentions churches, and most importantly people throughout his travels. Sadly, he mentions very little about his personal life or his family, but the book does provide a wonderful insight into the life of a itinerate preacher of the 1840’s. He seldom ever mentions his two daughters. He does correct one name Lousianna (I had Laurana previously) but never mentions the name of his second son nor his second daughter. He confirmed the name of his first son and, in the book, corrects the name I had for his youngest child. More importantly, he provides county information for his parents, marriage information for a sister, and the names and living locations for a couple brothers that I had no information about. It took many hours to go through the book, determine genealogically interesting information, and incorporate them and the source references into my tree. 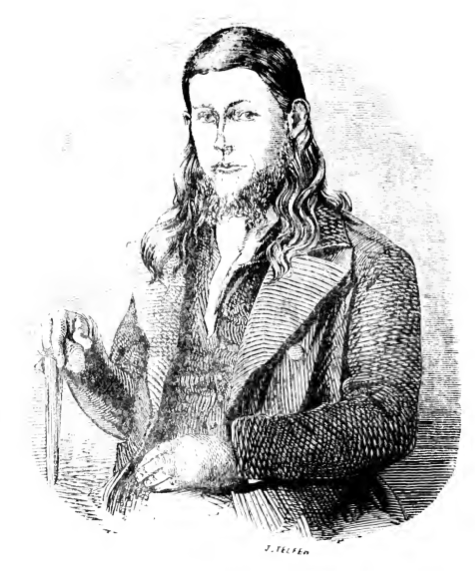 Of course one of the greatest finds in the book was a drawing of the author, Peter Howell (b. 1805).